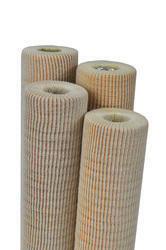 As per the requirements of the customers, we are involved in offering utmost quality of Glass Fiber Cartridge Filter. 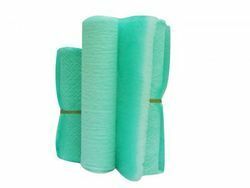 This Glass Fiber Cartridge Filter is extensively used in industries for ensures complete protection. Further, the offered products are available in market in bulk at most reasonable prices. EN 779:2002 efficiency: G2, G3. We are one of the well known supplier of Glass Fiber Filter. Glass Wool Filters are coarse filters working as coalescers and stop heavy dust in sample line. These glass wool filters are compact in size & light in weight. MN GF-1: This binder free paper offers fine particle retention, high flow rate and good loading capacity. It is used for high efficiency labratory filtration as well as air sampling. Backed by our adroit team of professionals, we are able to provide our clients with an assorted gamut of Glass Fiber Filter. Our company is offering Glass Fiber Filter to our valuable clients as per their requirmenet. Reliable & long term operation of any process analyser depends upon the efficiency of the sample conditioning system for which dust, solid particulate & moisture free sample gas is must essential. Where dust concentration is major problem for analyses of gas, the glass wool filter is the best solutions. We are the foremost manufacturer, wholesaler and, supplier of impeccable quality Glass Fiber Media Filters.